As many of you are aware, we began the Guild Wars 2: Heart of Thorns™ pre-purchase program on June 16. This is an exciting time, but we also recognize that there is some frustration and confusion. We would like to clarify our intentions and address these concerns. For our long-standing fans and loyal players, we would like to say thank you and show our appreciation. For all players who registered the core Guild Wars 2® game prior to January 23, 2015 and who upgrade their account by prepurchasing and registering any Guild Wars 2: Heart of Thorns edition before Guild Wars 2: Heart of Thorns‘ launch, we will add one additional character slot to your Guild Wars 2 account. The process of delivering your additional character slot will take us some time, but rest assured we will get it to you as soon as possible. We’ll provide more details about the specific timing soon. 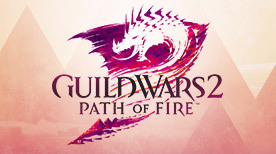 In our January 23 FAQ, we wanted to clarify that Guild Wars 2: Heart of Thorns would not be a stand-alone campaign like those offered in Guild Wars ® in the past (Factions® and Nightfall®), but instead would be a true expansion to Guild Wars 2 similar to what Guild Wars: Eye of the North® was to our original game. We wanted you to know that access to much of the content in Guild Wars 2: Heart of Thorns requires access to Guild Wars 2. Some read the FAQ as us urging players to buy the core game now, in preparation for the expansion release. This was not our intention and amendments made to the FAQ following the announcement were a good-faith attempt to clarify this misinterpretation. As such, we’re offering a comprehensive refund policy. For all players who purchased the Guild Wars 2 core game from our website and registered it between January 23, 2015 and June 16, 2015 in anticipation of Guild Wars 2: Heart of Thorns, we will automatically refund what you paid for the core game should you decide to pre-purchase Guild Wars 2: Heart of Thorns from our website or in-game store any time through July 31, 2015. If you take advantage of this refund and pre-purchase Guild Wars 2: Heart of Thorns, all of your current account progress will be kept intact. We’ll provide further details on when refunds will be processed in the next couple weeks as we set up this process. 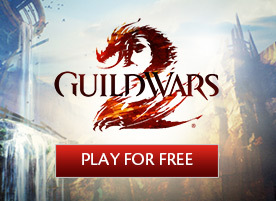 If you purchased the core Guild Wars 2 game from our website and registered it between January 23, 2015 and June 16, 2015, and you no longer want to play Guild Wars 2, we will refund your core game purchase price and close your account provided you make the request by July 31, 2015. Please contact our Customer Support team to make this request. 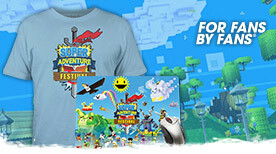 If you purchased the core game from a third party, we are unable to provide a refund. However, if you registered the core game between January 23, 2015 and June 16, 2015 and upgrade it by prepurchasing any Guild Wars 2: Heart of Thorns edition before Guild Wars 2: Heart of Thorns‘ launch, we will add one additional character slot to your Guild Wars 2 account. The process of delivering your additional character slot will be the same as described above. If you would like a refund, you will need to contact that third party, as refunds are dependent on their policies and rules. We want to be clear about our business model for future expansions now that we are approaching our first paid expansion for Guild Wars 2. We believe that to keep the game dynamic and vibrant with a constantly growing community, it should be as easy as possible for new players to get into Guild Wars 2. For Guild Wars 2: Heart of Thorns, we didn’t want the core game’s price to be a factor in a new player’s decision to begin playing Guild Wars 2. In the future, if we release further Guild Wars 2 expansions, we plan to offer all of the prior expansions, the core game, and the latest expansion for one single purchase price. We are committed to our players and believe we remain the single best value in the MMO space. We set out on this journey to challenge the conventions of MMOs, to knockdown the barriers to accessibility, and to fulfill the promise of what online worlds should be. In the process, the best community in gaming came together in Guild Wars 2. It is to our community—past, present, and future—that we are committed. Thank you for your understanding, and we look forward to seeing you in game.